The Deering Estate offers canoe tours, kayak workshops, and new kayak and paddle board rentals at Deering Point. Saturday, May 12, 9:00 a.m. – 11:30 a.m. Discover how easy and fun kayaking can be on the scenic waters of Biscayne Bay! The workshop will introduce you to the basic skills necessary to begin safely paddling on small, calm bodies of water. For ages 9 & up. Cost: $30. Space is limited; reservations required. Register online or call 305-235-1668 ext. 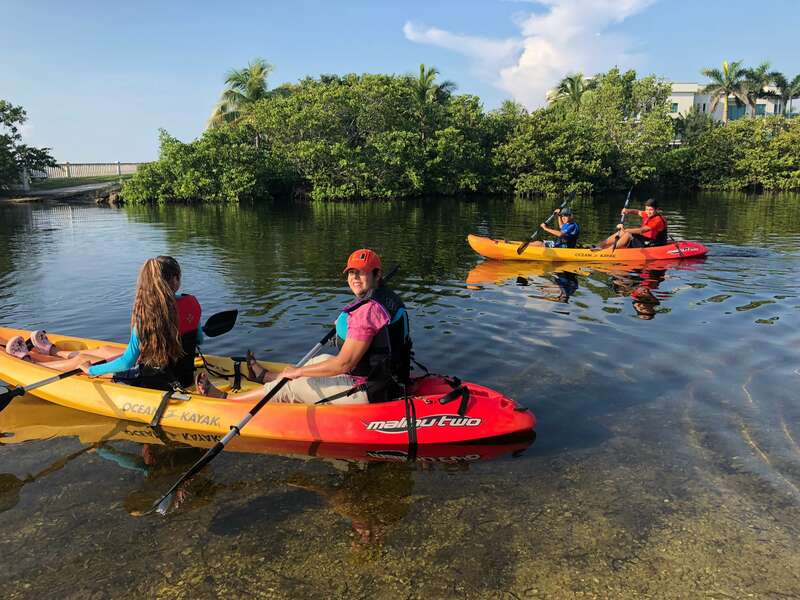 233. .
Sunday, May 27, 7:00 p.m. – 10:30 p.m.
Take a moonlight canoe tour across Biscayne Bay and enjoy a campfire and s’mores on Chicken Key, a seven-acre mangrove island and bird rookery, approximately one mile off-shore. For ages 18 & up. Cost: $40. Space is limited; reservations required. Register online or call 305-235-1668 ext. 233. Kayak & Paddle Board Rentals – NEW! iPaddle Miami offers kayak & paddle board rentals from Deering Point located at 17350 Old Cutler Road. Offered on weekends; weekdays (by appointment only). For pricing & more information, please visit the iPaddle Miami website or call (305) 472-3353. The Deering Estate preserves the 1920s era Miami estate of Charles Deering, Chicago industrialist, early preservationist, environmentalist, art collector, philanthropist and first chairman of the International Harvester Company. Nestled along the coast in South Dade, the Deering Estate is a 21st Century museum destination, environmental preserve and historic site listed on the National Register of Historic Places. From canoe tours to bird walks and guided museum and Natural Areas Tours, the Deering Estate has diverse activities for the whole family to enjoy.